In the European Parliament in Brussels, organized by the Croatian euro-parliamentarian Tonino Picula, was held a round table “Culture based on city culture” , where the project of the European Capital of Culture Rijeka 2020 was presented to the assemblies. 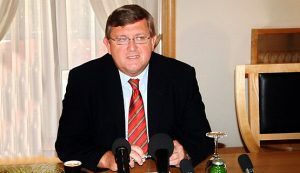 Tonino Picula, in the introduction, congratulated the city of Rijeka on the implementation of such a major and significant European project and stressed that Rijeka’s presidency over European culture overlaps with the Croatian Presidency of the Council of the European Union in the first half of next year. – The year 2020 will be a year of great responsibility for the Republic of Croatia and it is good that we are here today and we are talking about the opportunity Croatia and Rijeka have in the period before us. In Europe that is increasingly divided and increasingly forgets its core values, it is necessary to talk about culture as a connective tissue. And cities, using cultural diplomacy, are very much called to remind us that we are the Union of Dialogue and Cooperation. They are called to defend and promote European values, Picula said, according to a statement. Rijeka Mayor Vojsko Obersnel stressed that cities can lead to active diplomacy, although traditionally considered a national government domain and commended 40 years of friendly relations with the Japanese city of Kawasaki. 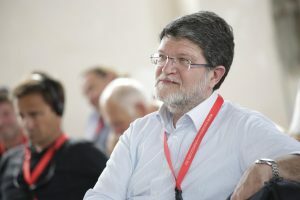 – I am proud that Rijeka is the first Croatian city to take the title of the European Capital of Culture and that we will have a rich program to promote the diversity and culture of dialogue for a year, Obersnel said. Silvia Costa, an Italian representative in the European Parliament, the former president of the Parliamentary Committee on Culture and Education and the Rapporteur for the Creative Europe Program, opened a congress in the forthcoming budget period, praising the Rijeka 2020 program. “I’ve already visited Rijeka and can immediately confirm that I’m back on the list of cities I’m coming next year. 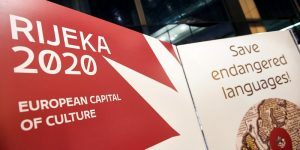 Transformation is the key word of the Rijeka 2020 program and I am looking forward to seeing in which direction you will take the city of rich history and impressive energy. There are various transformational processes in Europe, and yours is motivated by culture, and that is for all praise, she said. The Round Table was attended by Teresa Badia, Secretary General of Culture Action Europe, Member of the Board On The Move Marie Fol, Rytis Zemkauskas from Kaunas 2022 European Capital of Culture, deputy mayor of Varazdin Sandra Malenica and Nada Švob Đokić from the Institute for Development and International Relations. The topic of the round table was urban policy in culture, such as intercultural, digital and creative and how they shape international cultural relations. Cultural policies, contents and relationships are the ones that open up new partnerships that extend to other activities. International mobility of artists and cultural exchange contributes to the spread of new ways of communication and long-term cooperation in culture. It is precisely mobility, one of the fundamental opportunities that has opened up with the European Union, to contribute to the adoption of new ideas, ways of communication, skills and community-rich enrichment practices, have agreed, said Picule’s statement.